his no-nonsense and effective approach in teaching people horsemanship by gaining respect and control of the horse makes him a very popular clinician. Born and raised in Australia but now living in the USA, Clinton is a world-acclaimed horse trainer with professional achievement in both colt starting and reining. He has studied under top reining judges and trainers in both the U.S.A. and Australia. He has also won the colt-starting challenge "The Road to the Horse" on two occasions. Similar to other natural horsemanship methods such as Parelli Natural Horsemanship, specific tools are used for achieving results with the Method. A specific Clinton Anderson halter that is made of thin rope with knots over the nose band to discourage leaning is recommended. Also, a 14ft rope as well as a stiff fiberglass "handy stick" and string are used to communicate and sometimes “whack” the horse when needed. Clinton Anderson horse training starts in the round pen. He uses round pen methods to gain control of the horses’ feet and start to gain his respect. 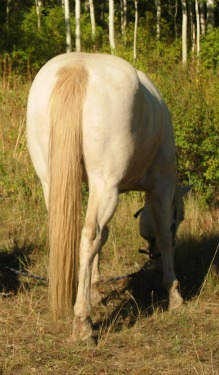 "Lunging for respect" is one of his well known techniques. The exercises given in Clinton Anderson horse training are very specific and given in an exact order. Each exercise builds up to the next. Clinton follows an exact way of doing the exercise. This includes the goal of the exercise along with common pitfalls the trainer may face. It also includes common reactions in the horse when starting the exercise. There is also a horse training book short course on ground manners, and a variety of DVD’s on topics such as training young horses , bridle-less riding and gaited horse training. Like other natural horsemanship trainers, the Clinton Anderson horse training method has its own paid subscription group. It is called The "No Worries Club." In Clinton Anderson’s No Worries Club, for about $20 month you are part of an online chat community as well as receiving extra educational DVD’s and newsletters. You also receive store and event discounts for being a member. Using Clinton Anderson’s methods you can easily get started at home, but if you are more hands-on or require more individual instruction there are Clinton Anderson Clinics. Clinton has trainers that are certified to teach his method and travel all over the country. He offers courses at his ranch. If you don’t want to do all the work yourself of training the horse, you can buy a Clinton Anderson Signature horse or a Clinton Anderson Performance Horse. 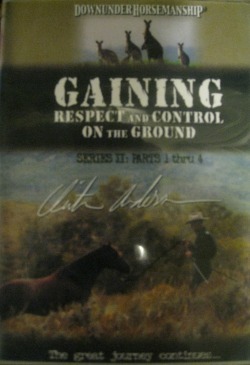 Clinton Anderson Signature horses sell for about $30k, and have at least 60 of Clinton’s exercises mastered. They are trained under Clinton’s guidance by his apprentices. These horses are advertised as being solid for any level rider from beginner to advanced. The Performance horses he offers for sale are the only way to buy a horse trained by Clinton himself and are for those who want to compete in NRHA level reining competitions. 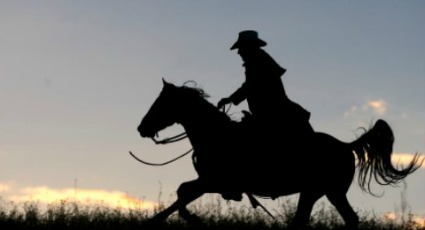 Clinton Anderson Horse training offers the rider many ways such as DVD’s, books, clinics, Walkabout Tour Stops, and Club membership to train and enjoy a horse while using his effective horse training method.